It is the duty of the U.S. Food and Drug Administration (FDA) to ensure that the products being placed on the American market are safe for consumer use and consumption. They are therefore responsible for everything from food safety to pharmaceutical drugs. One of its main roles is in ensuring that drugs that prescription and over-the-counter drugs are safe enough with limited side effects. Should a drug be found to have severe and / or life-threatening side effects, the FDA will require that the manufacture place what is known as a boxed warning on the label. This is also referred to as a "black box" warning and is the most severe of the alerts that can be utilized. When drug is required to carry the black box warning, it is a notification that the drug has adverse side effects and to take caution. Antidepressants - All antidepressant drugs (such as Celexa, Paxil, Prozac and Zoloft) are required to carry a black box warning due to their increased risk of suicidal thoughts in teens and children. Celebrex - In 2005, Celebrex (a COX-2 painkiller) was required to have the black box warning placed on its labeling due to the increased risk of cardiovascular problems and gastrointestinal bleeding. Depo-Provera - Progestogen-only contraceptive Depo-Provera is birth control that works through injections every three months. In 2004, the FDA placed a boxed warning on the drug due to a study that linked long-term usage with the major loss of bone density. Warfarin - Used to help treat thrombosis, Warfarin (sold under the brand names of Coumadin, Waran and more) has been the most widely used anticoagulant in the U.S. since its approval in 1954. In 2006, a boxed warning was added due to the risk of patients pleading to death. Ritalin - Marketed to help with ADHD, Ritalin has also been used off-label to deal with lethargy, depression and even obesity. In 2006, it was required by the FDA to carry the black box warning due to an increased risk of both cardiovascular problems, as well as psychiatric effects. Avandia - In 2008, the FDA required GlaxoSmithKline to have the black box warning placed on their antidiabetic drug, Avandia. The drug, used to treat Type 2 diabetes, had been linked to severe cardiovascular events, such as heart disease, heart attack and stroke. Levaquin - The antibiotic of Levaquin (levoflaxacin) is used to help patients who are facing severe bacterial infections. While largely popular, it was required by the FDA in 2011 to carry boxed warnings for its risk of spontaneous tendon ruptures and worsening myasthenia gravis. Chantix - Smoking cessation aid Chantix, marketed by Pfizer, was required in 2009 by the FDA to carry a boxed warning due to the increased risk of depression, chance of suicidal thoughts and behaviors, as well as the possibility of suicidal actions. Unfortunately, just because a drug has been required to carry the black box warning, does not mean that the drug will never be prescribed. For example, after the FDA slapped the warning on Avandia, the drug usage fell 70%. That, however, means that there were 30% who were still using it - which, when millions are using it, is still a significant amount of people who are endangered by the drug. Beyond that, not every physician is going to sit down with you to go over a drug that gets a boxed warning if you have had it prescribed for years. For this reason, if you have been affected by the taking of dangerous drugs, you should not hesitate to get the involvement of a law firm well-versed in pharmaceutical litigation. For victims of these drugs, as well as those who have lost a loved one, it is highly important to get a knowledgeable Personal Injury lawyer on your side. 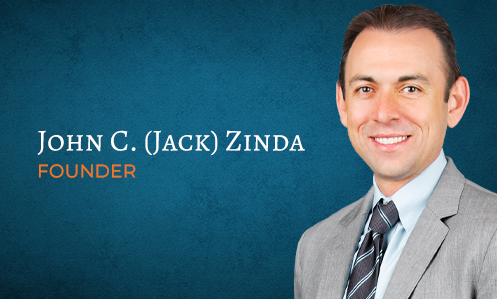 At Zinda Law Group, we know how difficult it can be to face cases of this nature and are prepared to go the distance in our efforts to thoroughly investigate your case to fight for maximum compensation. Call today to learn more!